A bush hammer tool and bush hammer roller for concrete is a floor construction tool used for texturizing stone and concrete. 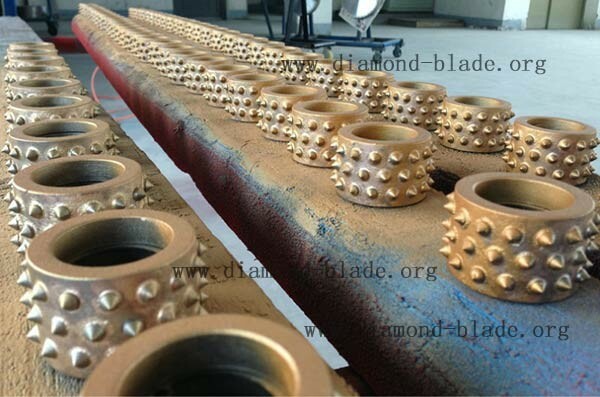 ChinShine trapezoid grinding shoe with bush hammer rollers for concrete can adapt to several kinds of grinder or machine, from simple hand-held hammers to large floor grinder, the basic function of the concrete bush hammer is always the same - 30pcs/45pcs/60pcs of conical or pyramidal carbide tips welded at the top of a large metal plate. The repeated hit of these carbide tips into concrete surface creates a rough, pockmarked texture that looks like naturally weathered rock. Floor concrete bush hammers can help to increase bonding effectiveness when applying new concrete to an existing concrete surface by increasing the surface area of the bonding zone. Why buy concrete bush hammer rollers for floor from ChinShine? 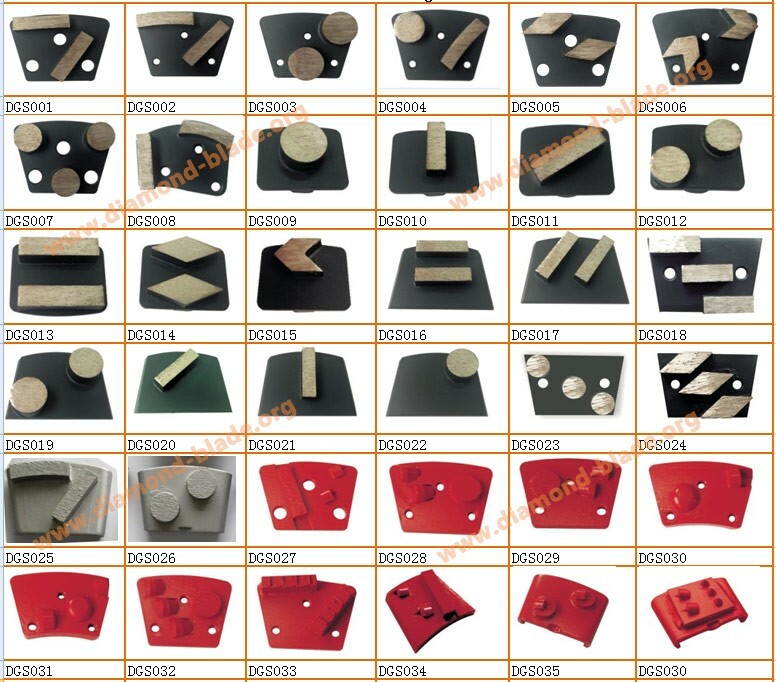 Trapezoid grinding shoe with bush Hammer rollers are mainly designed for texturing and roughening concrete floor and is especially important for performing operations to create anti-slip surfaces on stone surface and steps, etc. It's scrollable and highly efficient, for example,a roller of 200mm diameter can fabricating more than 150 square meters stone/concrete surface per day. 1) Bush hammer tool for concrete is suitable for surface fabricating, making bush hammered effects for stone surface. 2) It's scrollable and highly efficient, for example, a bush hammer roller of 200mm's diameter can fabricate more than 100 square meters stone products per day. What is the benefit of ChinShine bush hammer tool for concrete?